If you haven't had the pleasure of seeing this "show-within-a-show," it's an excellent choice for a fun and laugh-out-loud night of theatre. 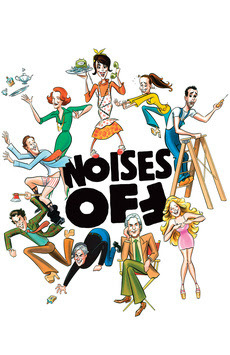 The Opening Night performance of the farce Nothing On is just hours away, and as the cast stumbles through their final dress rehearsal, things couldn't be going any worse. With lines being forgotten, love triangles unraveling and sardines flying everywhere, it's complete pandemonium...and we haven't even reached intermission! Can the cast pull their act together on the stage even if they can't behind the scenes? Playing at the American Airlines Theatre on 42nd street, previews begin December 17 and tickets can be purchased at roundabouttheatre.org.